We can help you eliminate the necessity (and problems) of hiring people for peak production times and special projects, as well as meet your everyday needs. By utilizing our well-trained labor force and our competent supervision, you will realize savings in several areas: lower FICA costs, lower fringe benefits, lower Workers Compensation Insurance expense and Unemployment Compensation expense. You will also realize a reduced cost in hiring and training and fewer problems associated with low performance and absenteeism. Our work force has obtained quality experience by working for national companies, as well as many local businesses. We can put that same experience to work in your plant, giving you greater product control, or we can bring the work to our facility and free your workers and space for other operations. Putting our skilled workforce to work for you will enable you to save in many ways. Increasing your product line does not require a costly plant expansion. 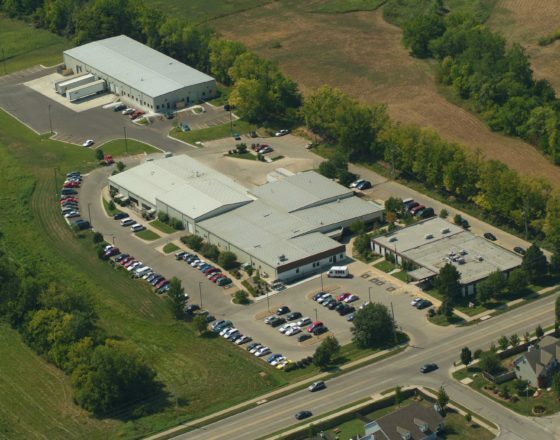 We have more than 66,000-square-feet of space at our Lawrence facility. We can help relieve your overflow manufacturing needs. Cottonwood has maintained ISO (International Standards Organization) Quality Compliance since it began its cargo strap production in 1999. Cottonwood has received an Ability One Program Vendor Award from the U.S. Defense Logistics Agency and also several Gold Medal Awards from the Department of Defense for superb quality and on-time deliveries. We have produced over 7 million cargo straps for the Department of Defense. Our quotes are given at a fixed price-per-unit rate, unless specified otherwise. This gives you control over prices with a definite per-item cost. Your profit margin will remain stable and you will not have to absorb any unexpected costs associated with personnel problems, equipment repair or other production delays. With Cottonwood, you know exactly what your costs of production will be. Cottonwood’s strategic location in the heart of the country and our significant shipping discounts make CI a logical choice for your warehousing and shipping needs. Cottonwood’s production services work very hard in supporting and maintaining its customers.